You may have heard about the long TSA check-in lines plaguing airports nationwide, just before summer vacation season kicks into high gear. Increases in airport traffic and a huge lack of security workers are threatening to greatly increase the time that travelers will need to account for before taking off. A record-breaking 231 million passengers are expected to fly this summer, and exactly zero have time to spend two-plus hours just to get through security. So while the rest of us were Googling “Chewbacca mom” last week, smart travelers were looking into TSA pre-check. How do I know? Because Google Trends shows a 140% increase in search interest for “TSA pre-check” this month since news got out that passengers were spending multiple hours in security lines and missing their flights. Google processes more than 3.5 billion searches per day, and this figure is increasing at a rate of about 10% per year. With that level of growth, understanding how people use search engines to research topics and discover websites, articles and pages is more important than ever. Google Trends can tell us so much about what keywords people are searching for and how their interests change over time, and knowing how to effectively analyze search data opens up a world of insights on user behavior and interests. 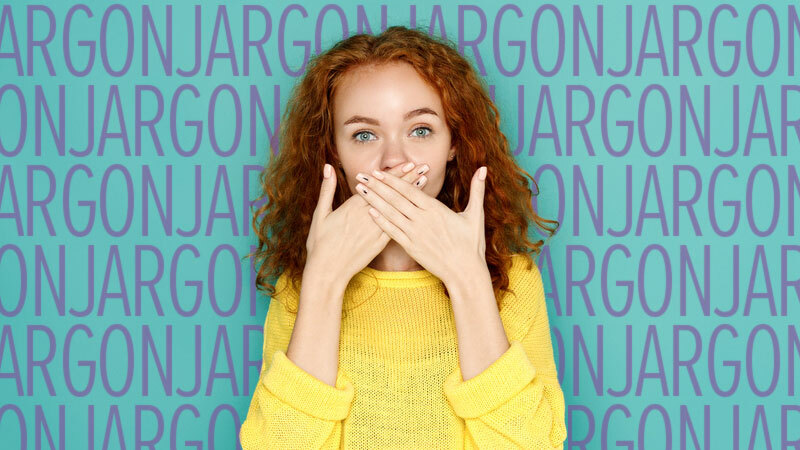 Understand what your target audience is searching for, and you’ll be well on your way to creating relevant, engaging content about any subject. 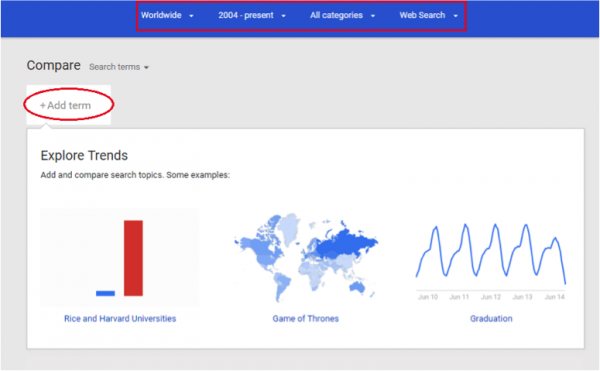 What is Google Trends and how do I use it? 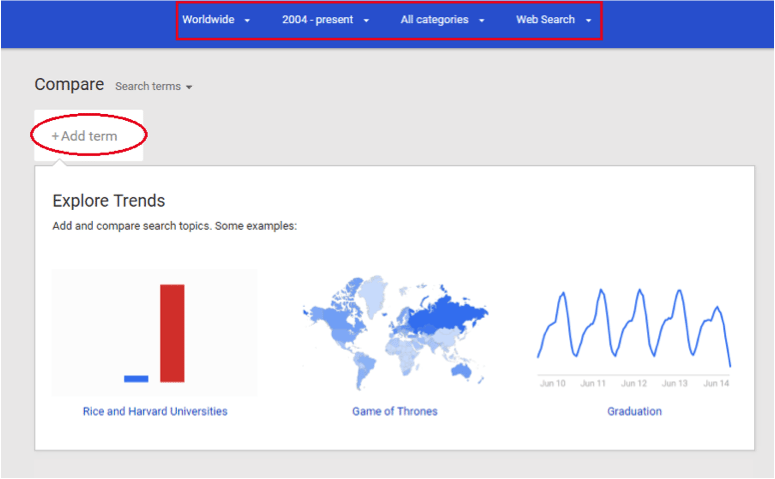 Simply put, Google Trends is a tool that keeps track of relative keyword search volume. The important word here is relative: Rather than showing absolute volume of search terms, Trends presents search data as it relates to total search volume over time. If a keyword’s data shows a downward trend, it doesn’t necessarily mean that total searches for that keyword are declining, only that its relative popularity is. This is useful because we ultimately can’t tell much from Google search data without some context. Search data can be refined by time (past week, past year, etc., or user-defined timeframe), topic (such as sports, travel, shopping, science), and area (by state/region, country or worldwide). On the Explore page, you can enter a search term that you’re particularly interested in, and refine the location, timeframe, category and search type (Web, Image, News, Shopping or YouTube). But mining data is just the beginning! Google Trends allows users to export the data to a CSV in order to examine it more closely, create super-cool graphs or perform statistical analyses. You can also subscribe to search results that you may be regularly interested in seeing, and share search results to your social media feeds. 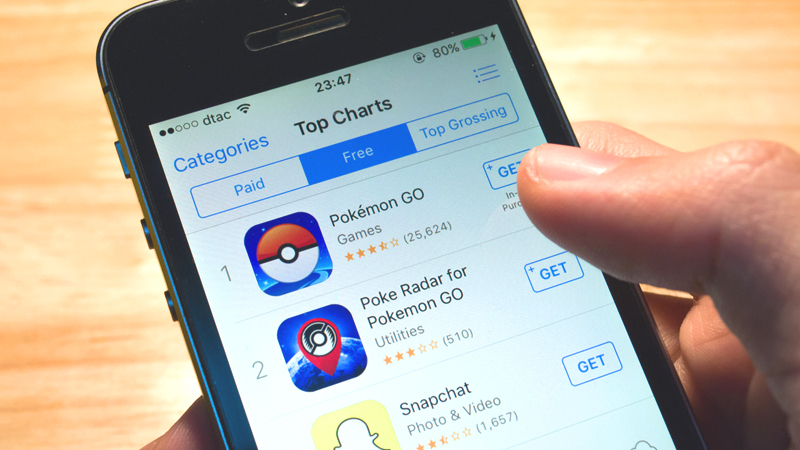 How can I use Trends to inform decisions about travel content? 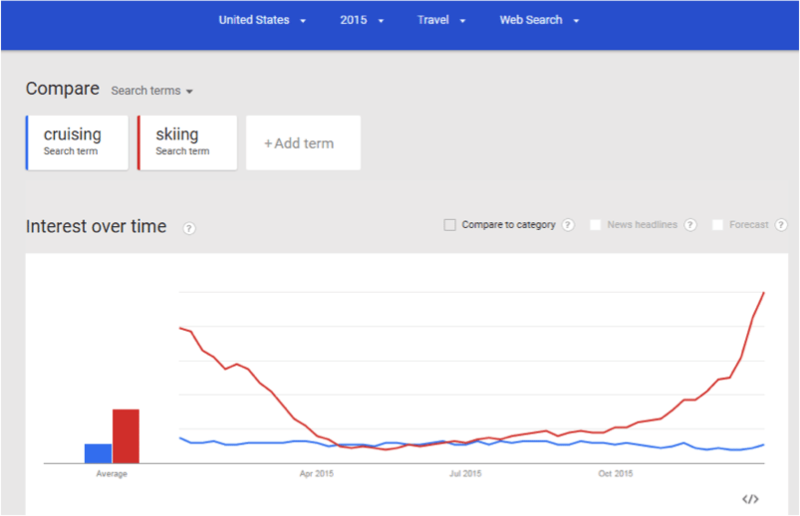 Google Trends is very powerful and consists of so much data and so many options that you might not know where to start, so let’s examine a few examples as they relate to the travel industry. The first point is perhaps unsurprising due to what we know about temperatures and weather, but is nevertheless a key fact when trying to understand peoples’ interests in travel. One could use this information to support a content schedule that features a list of the top 10 ski resorts in the U.S., to be posted sometime in September when interest in skiing is just beginning to ramp up for the season (just remember to also consider booking windows as key times to write about certain trip types.) 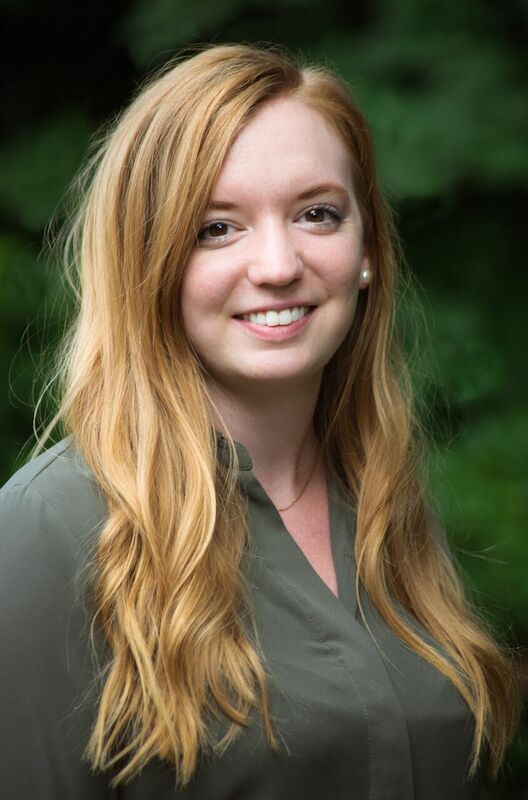 Conversely, the second point lends support to a content schedule that has cruising-related material on hand throughout the year, as data shows that visitors will have similar interest in this topic, independent of time or season. The final point has more to do with volume than timing. A travel writer may wish to always have more skiing-related content planned, compared to cruising-related information, in order to satisfy peoples’ broader travel-related interests. When you download a CSV of search data, Trends provides you with relative search volume by week for each search term you’re interested in, as well as aggregated relative search volume by state (if you’re filtering by U.S. search activity), region (if you’re filtering by another country) or country (if you’re using worldwide results). This information could be useful for a travel writer hoping to place relevant ads on their site. 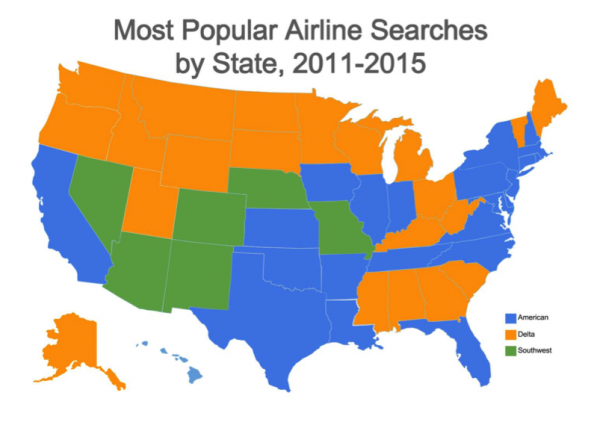 A travel site that operates out of New York and appeals specifically to travelers in the northeast may prefer to partner with American Airlines as an advertiser, as people in that region have shown the most interest in their services, compared to Delta and Southwest. The power of geo-targeting also ensures that this scope is not limited to locally-focused travel sites; larger sites can target different ads to appear in different regions, based on relevance. Airlines are certainly not the only example this feature of the tool can be used for. Writers and content creators can also use Trends to research the most popular hotel chains, restaurants and tourist destinations in order to place ads that will get maximum engagement from visitors depending on location. Following terrorist attacks in Paris last November and in Belgium this past March, data suggests that people are shifting their preferences when it comes to visiting Europe. Trips to France and Italy have declined this year in favor of alternative destinations such as Spain, Ireland and Scotland. Additionally, travel to non-European destinations has been on the rise. Travel Weekly reports that trips to the Caribbean are up 6%, travel to Asia has risen 22% and trips to Alaska have jumped 24%. I wanted to know: Are these shifting trends represented in Google search data, and if so, how should content writers adjust to this change? 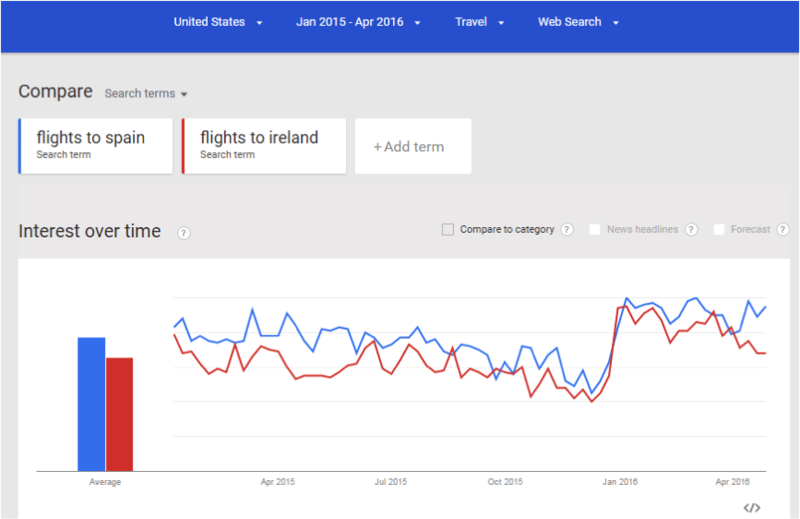 Here’s the weekly search trend for “flights to Spain” and “flights to Ireland,” from January 2015 through April 2016. Search levels are clearly higher so far in 2016, compared to the same period last year. In fact, a little data-exporting and Excel-calculating tells me that relative search volume for “flights to Spain” is up 17% year-over-year, while relative search volume for “flights to Ireland” has grown 29%. Of course, search trends on their own are not enough to confirm that actual travel to these destinations has increased, but it does appear that peoples’ interests have matched nicely with recent travel booking data. On the flip side, if you examined Trends for “flights to Paris,” you’d find that relative search volume is actually slightly higher than this time last year, despite travel to France decreasing. This fact highlights how one must carefully examine Trends data and use it to reach appropriate conclusions. It’s likely that visitors are currently searching “flights to Paris” more than they have in the past because interest in Paris and Europe as a whole has gone up due to these new security concerns. Travel writers might want to consider including both ends of this spectrum in their content planning. For example, content could be created to highlight things to do in these countries that are gaining popularity, like Spain and Ireland, in order to inform visitors who’ve booked these trips. Other articles could focus on travel safety and handling increased security, to appeal to those who are still showing interest in destinations like Paris, but may still have some reservations about venturing to this part of the world. We’ve barely scratched the surface of all the ways Google Trends can be used to create timely, effective travel-related content. While the tool may seem overwhelming at first, in reality it is very simple and intuitive. 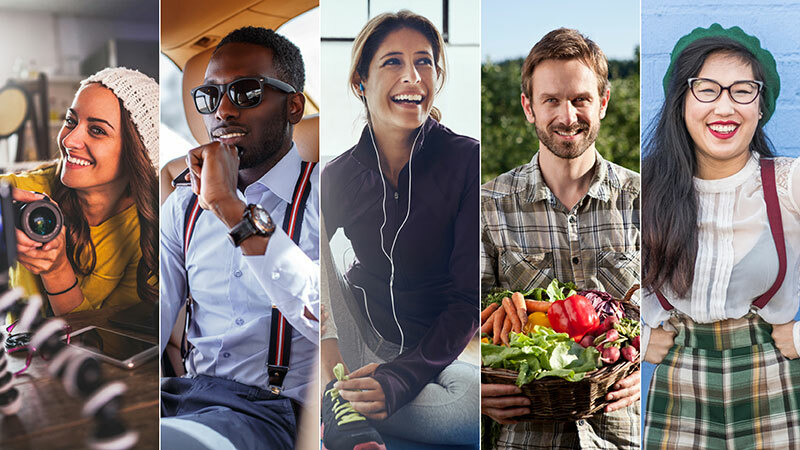 With just a little exploration, you can begin to answer key questions like the types of trips people are looking to take depending on the time of year, which airlines or hotels travelers use the most and how current events are affecting bookings. With that information in hand, you can then make informed, data-driven decisions for your editorial calendar and provide the most relevant travel content to your readers.